I am a female with blond hair and green eyes. My birthday is on March 15 which makes me a Pisces. i heard of them when the bring me to life video came out and feel in love with there music. Evanescence is the best band in the whole world. They will be my fav until the day that i die. I really dont care what other people think about them. If you want to hate them then hate them dut i will always love them. 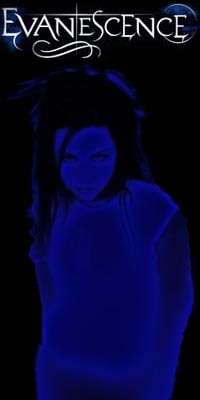 AMY LEE IS SO HOT!!!!!! !